Super ViraGon® is the strongest formula of its kind in the world which supports the immune system to help your body fight environmental challenges. Over the past twenty years, intensive chemical, pharmacological, and clinical research has confirmed mechanisms of action and therapeutic value of milk thistle seed in a wide range of human liver disorders, including toxic metabolic liver damage (such as fatty degeneration of the liver) and supportive therapy of chronic hepatitis and cirrhosis. But primarily, dandelion root is one of the great liver herbs. 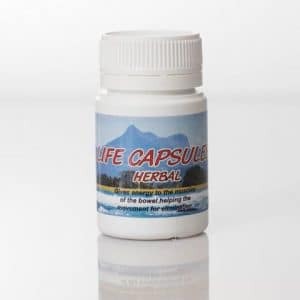 It is the best lipotropic known, flushing excess fat from the liver, thereby helping to relieve chronic liver congestion. In addition, it increases the production of bile. And studies have proven that it actually has “liver healing” properties. Artichoke leaf has traditionally been used in jaundice and liver insufficiency as well as for cholesterol reduction. It is thought that artichoke inhibits oxidation of low density lipoprotein and reduces cholesterol biosynthesis. It is a member of the thistle family and contains compounds that enhance both the production of bile and the liver’s detoxification process. Many toxins are eliminated through the bile. Bile salts help to emulsify fats, which aids the pancreas with digestion. Bile plays a critical role in the body by helping to protect the liver from congestion and inflammatory responses. Bile is also necessary to create the right kind of environment in the small intestines. Artichoke extract can regulate the production of cholesterol in the liver and help convert cholesterol to bile acids. It also helps normalize the pH of the blood. Wormwood has been used for centuries as a parasiticide internally and as a hemostatic externally. It was first used medically for sore eyes, and as a hair tonic, to control menstrual flow and swelling wounds. Wormwood can counteract fevers, regulate the liver and assist with anemia and arthritis. It is taken as a bitter tonic and given to help get rid of intestinal worms — from whence it gets its name. Wild crafting is the practice of harvesting plants from their natural, or wild” habitat, for food or medicinal purposes. It means the plants are uncultivated, and harvesting takes place wherever they may be found. Ethical wild crafting means that the harvesting is done sustainably. d-limonene oil is extracted from orange peels. Because of its dense electromagnetic field, Limonene is one of nature’s most potent natural solvents — ache reducers.